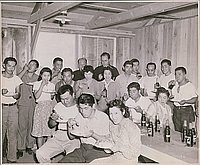 1 b&w; image of group of people in a room eating and drinking. They are crowded around a long table. Majority of people are standing along the sides of the room. 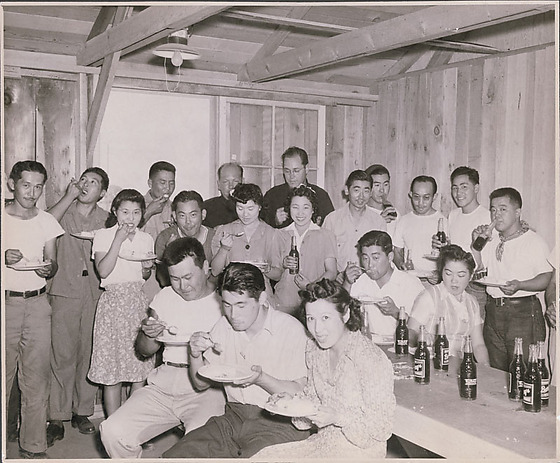 5 are seated on benches along the table. Full bottles of Barq's root beer are on the table. People are eating off paper plates with spoons.